Mazda is giving you an opportunity to win a brand new MX-5 Cup race car, and it’s all for the support of the Lemons of Love charity, which works to brighten the day of cancer patients everywhere. Lemons for Love founder, Jill Swanson, has spent most of her life in the motorsport community, and is the owner of the F.A.S.T. cool suit company. Jill was herself diagnosed with cancer, and she began bringing gifts to fellow oncology patients in an attempt to brighten their day. When her treatments ended, many friends in the racing community stepped up with funds to continue the project. The charity was founded in 2014, and has since given over 6800 chemo care packages throughout the world. They also offer support groups and other resources to the cancer community. Last year, as a way of promoting and funding Lemons for Love, Swanson presented the idea of raffling off an MX-5 Cup car. The first raffle was incredibly successful, so much so that they’ve gone ahead and done it again this year. The winning ticket will be drawn at 9 AM on Saturday, March 17 in the paddock at the Mobil 1 12 Hours of Sebring by John Doonan, Director of Mazda Motorsports. Raffle tickets are $100 each. If you’re a racer looking for a low-cost way to enter professional motorsport, MX-5 Cup is exactly what you’re looking for. If you win, you’ll have just a couple of weeks to get the car prepared for the season opener at Circuit of the Americas in Austin, TX, but being that it’s a spec series, there isn’t much to get prepared. You can basically win this car and start racing it ASAP. Good luck. To learn more about Lemons of Love and to purchase a ticket, visit www.lemonsoflove.org. 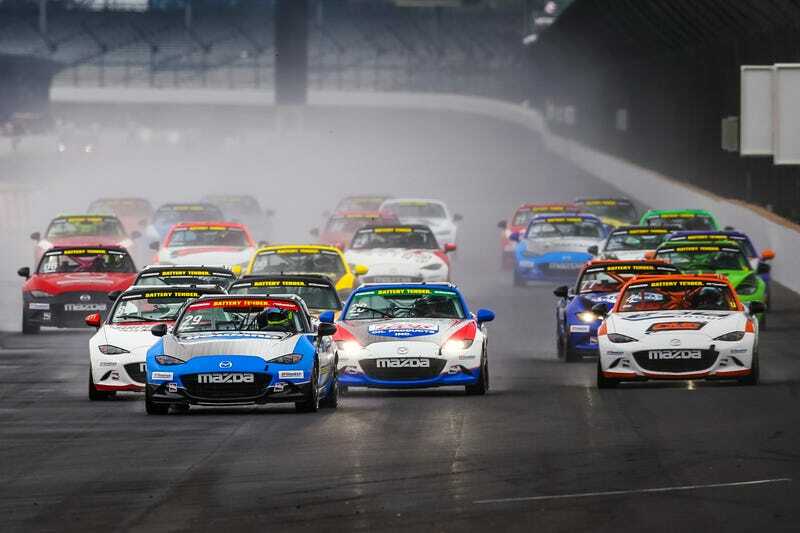 To learn more about the Global MX-5 Cup, visit www.mx-5cup.com.